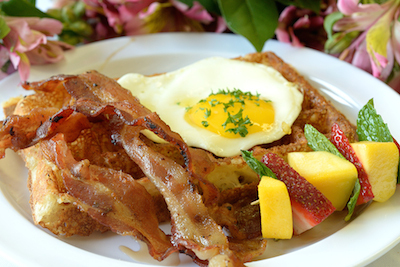 Start your day with one of our delicious brunch selections! 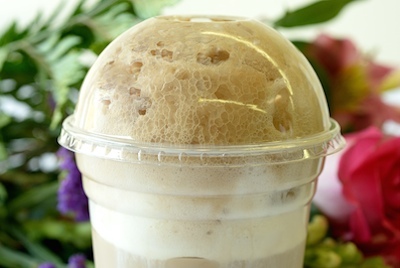 Whether it’s sweet or savory, we’ve got the flavors that will satisfy your palate. 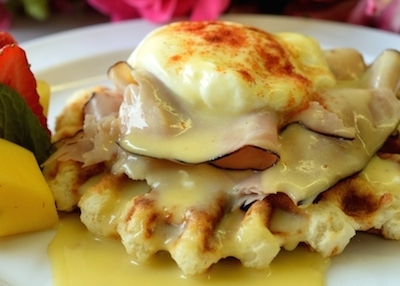 Our delicate, smooth Hollandaise sauce tops a Brussels waffle, smoked ham, and egg to put a flavorful twist on an old favorite. 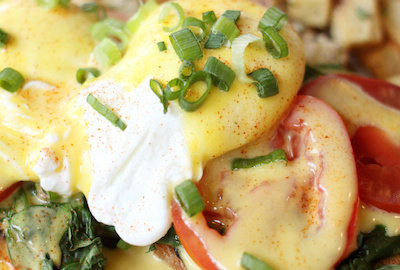 Perhaps the only thing better than our Waffles Benedict, is our Biscuits Benedict. 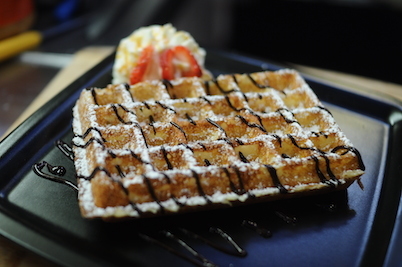 Baked with “waffled” biscuit batter, you get the flavor of biscuits with the crispy bite of our waffles. 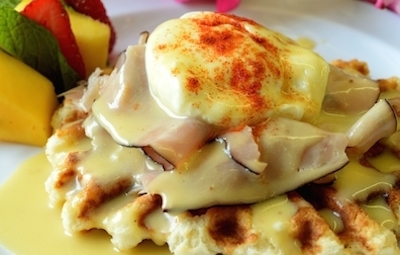 We top it with Applewood smoked ham, a poached egg and our light and smooth homemade Hollandaise sauce. 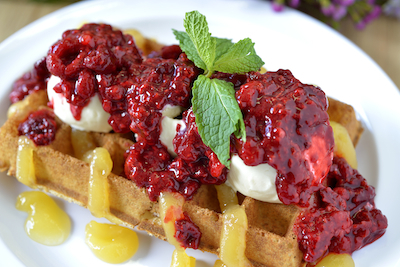 Creamy and fresh, our Waffles Florentine will delight your senses. A Brussels waffle gently covered with wilted Organic baby spinach, tomato, and an over-medium egg, then elegantly draped with silky Hollandaise sauce. 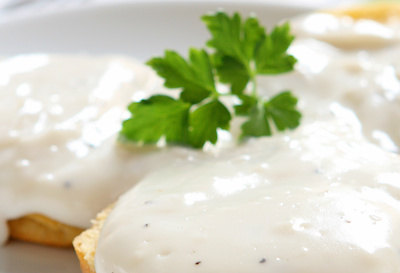 You’ve probably never tasted such comfort as you will when you bite into our “Biscuits and Gravy”! 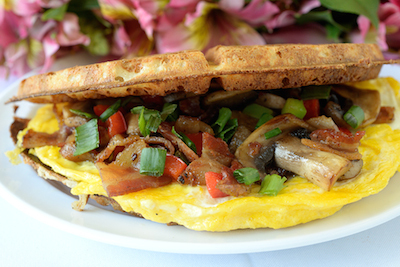 We create our own waffle baking powder biscuits and drench them in our luxurious sausage gravy. 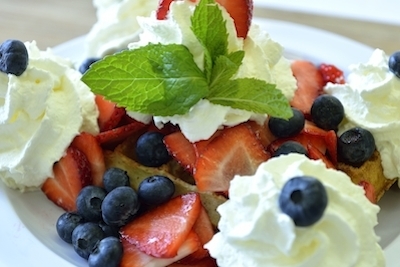 Sink into this twist on a classic! 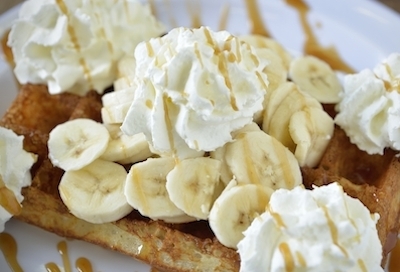 With our Salted Caramel Rum sauce, a sliced banana, fresh whipped cream and more sauce drizzled on top and a sprig of mint, you’ll savor this divine treat.